IPF is pleased to present to you one, Pasha Bains. For those of you that don't know, Pasha is one of Canada's best collegiate basketball players. Chung Lao: Pasha, how are you? Pasha: Doing pretty well, really busy! Pasha: Richmond, B.C. born and raised. Chung Lao: Most Canadian youth are into hockey. 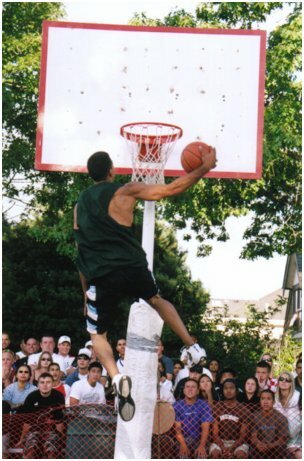 What drew you to the sport of basketball? Pasha: I was a huge fan of the game from a very young age. I started playing outside my next door neighbor�s yard and got hooked on the game right away. It is definitely the easiest sport to practice and I have to admit it was all the imaginary games played out on my neighbor�s yard that got me inspired to play the game. I played full basketball games in my head starting in Grade 4 outside that yard, announcers, starting lineups, refs, etc. I played for both teams but it was my favorite players and teams that always won. The people in my neighborhood thought I was crazy jumping around and ripping my shirt off in celebration, but back than it was about the possibilities and pure love of the sport. Chung Lao: Along the same lines, Reebok has an ad going where athletes state when they knew they could play. When did you know? Pasha: That�s a tough question, I practiced so much during High School that I really drew my confidence from my work ethic, I knew that if people were saying I had all this potential AND I was willing to work the hardest that I would be able to play at a high level. But I remember a specific situation in High School in Grade 11 where the ref and I were joking around about �knowing what we were doing� before the game during Captains introductions. It was a very intense game and I remember going on a good run in the 3rd quarter leading to an �and 1�. I remember being in that �flow� state where you feel absolutely immersed in the moment and the same ref I was joking with before the game hands me the ball for the free throw and says, �apparently you really do know what your doing,� being in the moment and having such a great compliment at that moment really gave me the confidence to know I could play at a high level. Chung Lao: What college(s) did you play for? Pasha: I started at Clemson University in South Carolina, Graduated from SFU and finished my Masters Degree from UBC. Chung Lao: What is something you don�t like about the sport of basketball? Pasha: I don�t like all the politics involved in the game. Especially at the youth levels. Chung Lao: Growing up, did you ever feel like you were playing for something more than basketball, perhaps for your culture as well? Pasha: I am extremely proud of my culture and did at times feel as if I was playing for something more than basketball. The support I have received from the Indian Community both as a player and now as a Coach and Mentor has been unbelievable. 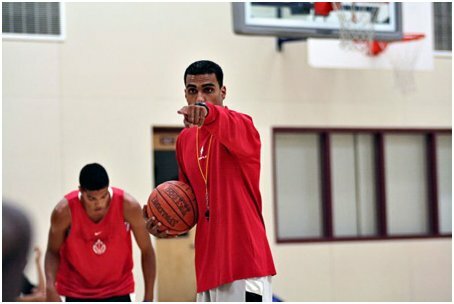 Being a visible minority offered me a chance to hopefully inspire other young players from my culture to break some barriers and realize the immense opportunities available in basketball. Chung Lao: Kobe Bryant recently scored 81pts in a single game. He is widely considered to be arrogant by many in the media/fans. What is your take on him? Is his arrogance justified? Pasha: I do think some times Kobe comes off as a little abrasive or arrogant but I think that has more to do with his focus and determination. Kobe Bryant is the best basketball player and one of the best athletes on the planet and it is because of his work ethic and borderline obsession to be the best that allows him to take claim to that honor. I think Kobe is at a point where he doesn�t care how he comes across, he is on a mission and I can respect him for his work ethic and singleness of purpose. B. Car(s): Im not into Cars at all. C. Hobbies: Reading, Writing & Music. Pasha: Mmmmmm�.any job where I felt like I wasn�t doing a deed or experiencing a value. Chung Lao: What player do you feel your game is most likened to? Pasha: I�ve been told Ray Allen or Gilbert Arenas. Pasha: My Dad because he is not only extremely intelligent but he has a great heart also. He would do anything for us. He taught me the value of Education, hard work, sacrifice and the importance of being a leader and helping others. He worked HARD for years as a bus driver and than became the Union Rep where he represented the workers. My dad taught me that you can never waste money on a book. Chung Lao: You�ve had several highlights from your collegiate career, such as playing for the Canadian National Team. What in your mind, has been the greatest moment thus far? Pasha: Easily, starting DRIVE Basketball. DRIVE is my heart and has provided more thrills than any playing experience or award ever has or could. Pasha: Haha, I'm as skilled in the kitchen as Shaq is outside the 3pt line. 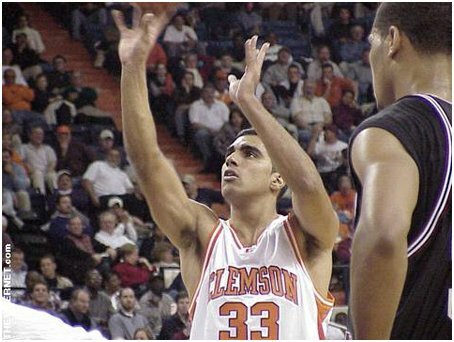 Chung Lao: How long will it be before a player of Indian descent makes it to the NBA? Pasha: Mmmmm�Good question, hopefully not too long. I remember someone telling me I was the 1st Indian to play in the ACC, so barriers have been broken, hopefully soon one of us will break through and make it to the bigs. 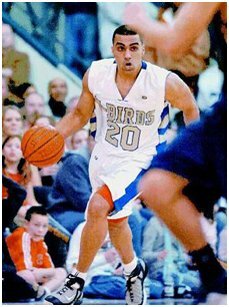 I think the time is coming, more and more Indians are playing basketball at younger ages. DRIVE has given me the unbelievable opportunity to work with many talented young indian players at a younger age. I have a core group of kids that I train and mentor on a daily basis that I believe will all go on to GREAT things on and off the court. Your question should be adjusted to WNBA also because we have some great young female indian players who are making huge strides in the game. 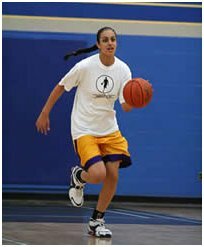 One player in particular who trains at DRIVE and I also coach in High School is Harleen Sidhu who is 6�2 and plays all five positions on the court. She is currently being recruited by Stanford, Nebraska, Gonzaga to name a few, she is going into Gr.12. Pasha: Mmmmm, Tough question, Id like to think there�s nothing really I cant stand in a person � everyone�s got their own story. Chung Lao: Who is the best player in the NBA, and why? Pasha: Mmm. Id have to say Kobe because of his ability to do so many things on the court. His size, athleticism, footwork, shooting range, etc. are probably the best in the league, but what seperates Kobe is his mental approach he is absolutely relentless in his preparation and in the way he constantly attacks on the court. In my opinion he is what a basketball player should be. Chung Lao: What are your goals as far as playing professionally? Pasha: I just finished my Masters degree in Coaching Science/Sports Psychology this past week at UBC and just opened a new DRIVE Gym where all DRIVE athletes and the general public can come train and meet so that has really taken a lot of time. I plan to build and grow DRIVE for one more year and than pursue my professional playing career, it has always been my goal to be more than just a basketball player and I feel like I am in good position right now to accomplish some goals for DRIVE � I want to be constantly be on the grind, working hard. Chung Lao: What prompted you to develop the Drive Foundation Scholarship Fund as well as the Drive Basketball Camp, and how can people support them? Pasha: DRIVE started because I just LOVE to coach and help young athletes. There is so much about basketball on and off the court that I wish I knew when I was growing up that I really wanted to start a program where I could coach and mentor young athletes to achieve success. I started running camps around 2003 and truly enjoyed everything about the whole experience: the way the kids responded, how much fun I had coaching and helping the young athletes and how it created a sense of community and DRIVE became something special. 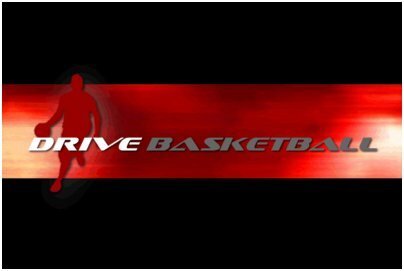 People can support our program by visiting www.drivebasketball.com or www.drivefitness.ca and registering for one of our many programs. Chung Lao: Ok, the year is 2040, the place, the newly minted Canadian Athletic Center. 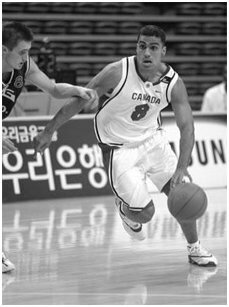 A couple of students are browsing through Canadian basketball sports history, and come across the name of one Pasha Bains. What do you hope they remember about your legacy? Pasha: Hopefully they will hear about my Coaching and playing accomplishments as well as DRIVE and all the great athletes and coaches that went through the program. Honestly though I cant be concerned with my legacy because that is not the reason Im working hard as a player and coach. Pasha: I just want to thank you Chris for doing this interview. I am extremely grateful for all the support!